China's banking and insurance regulators at the local level are encouraging banks to count loans overdue by 60 days or more as nonperforming loans, with the aim of better disclosing the risk situation of the banking sector and urging banks to further improve asset quality. 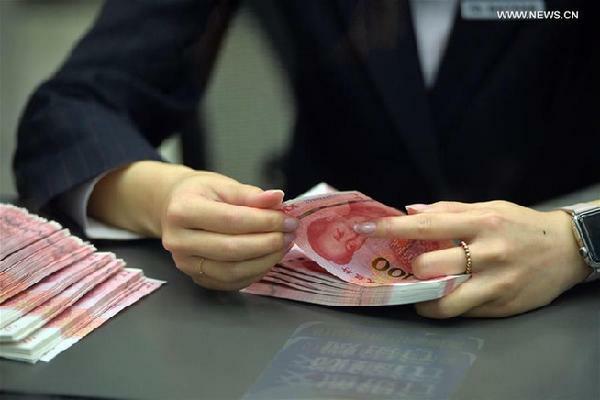 Some regulatory authorities at the local level have requested banks to recognize loans overdue by 60 days or more as non-performing loans, which is not yet a formal regulatory requirement, reported the Beijing-based China Securities Journal. Currently, the China Banking and Insurance Regulatory Commission requires banks to include loans overdue by 90 days or more in NPLs. "By making this adjustment, the regulator hopes that banks will fully expose their non-performing loans and truly disclose their risk situation with more accurate capital adequacy ratios and coverage ratios of allowance for loan impairment losses to NPLs. It will be favorable for them to write off and resolve bad assets," said Xiong Qiyue, a research fellow at the Institute of International Finance at Bank of China Ltd. The regulatory tightening reflected a prudential attitude, which aims to enhance banks' resilience to risks, he added. Zeng Gang, deputy director-general of the National Institution for Finance and Development, said the regulatory adjustment will benefit banks in terms of promoting steady and prudential development. It encourages banks to strengthen asset quality and enhance asset safety by increasing their allowances for loan impairment losses. Although not ruling out the possibility for the pilot program to be launched nationwide, Xiong said the regulator will consider the policy impact by calculating the amount of loans overdue between 60 days and 90 days, to estimate how much the policy will affect banks' non-performing loan ratios and the coverage ratios of allowance for loan impairment losses to NPLs. After local banking regulators make the adjustment, the NPL ratio of certain banks may increase rapidly. Some of them may increase the allowance for loan impairment losses to meet regulatory requirements, and some may step up their efforts to write off bad loans, both of which will have a negative impact on their profits. Deterioration of these financial indicators may further affect their bond issuance and financing, he said. John Qu, senior partner at McKinsey, agreed with Xiong that the regulatory adjustment will have a negative impact on bank profits. "The average level of profitability of China's banking sector will decline for sure, and we will see a stronger divergence in the performance of banks. I expect that mergers and acquisitions will occur in the banking sector in the next five years," Qu said when McKinsey issued a report on the Chinese financial sector in late March. Generally speaking, the asset quality of listed commercial banks remains stable while there are concerns about the bad debts of some small and medium-sized banks, said analysts and industry insiders. Gu Shu, president of Industrial and Commercial Bank of China Ltd, said: "We are in pursuit of prudent operation that could resist economic cycles." The NPL ratio of ICBC, China's largest commercial lender by assets, dropped 3 basis points year-on-year to 1.52 percent at the end of 2018, falling for eight consecutive quarters. During the same period, China Construction Bank Corp also recorded a decrease in NPL ratio by 3 basis points to 1.46 percent. Xu Yiming, chief financial officer of China Construction Bank, said: "Although our NPL ratio is still very low, we feel that it is hard to keep our bad assets at a fairly low level... Once the macro environment changes, our NPL ratio may rise. So we must adhere to prudent operations as if we are walking on thin ice."